Sorry that supposed to say how much ? Excuse my ignorance, but what is the difference in real terms ? 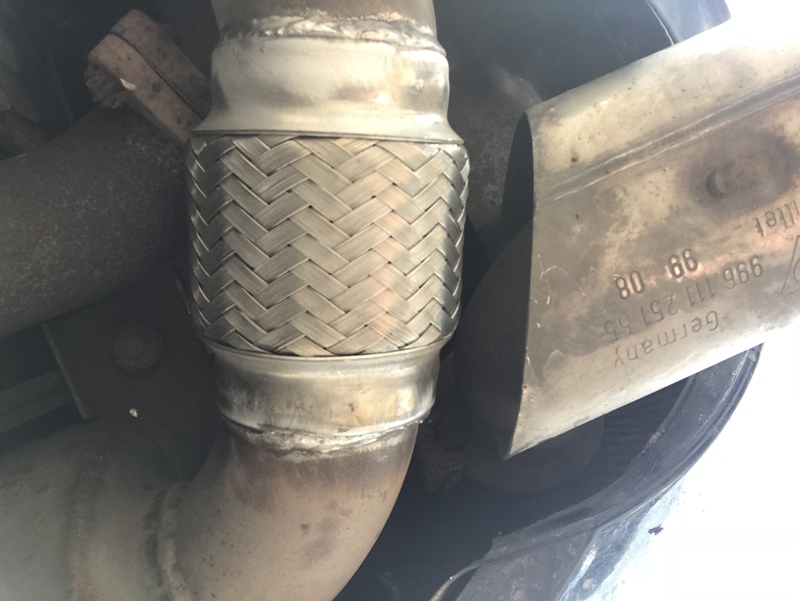 I want to keep my standard sports exhaust and I would like to fit gt3 throttle body and a different intake, where is the best place to buy these from as well ? Pete, have a read of the sharkwerks and fabspeed websites as they both advocate different preferences one for the cross over and one for the xpipe , it really is personal choice . re the big bore xpipe all I can say is thats what I put on my gen1 based on the theory of more air in faster gas out equals more BHP all of them will fit with your PSE . re the TB/ plenum whichever you buy you will need a remap so choose someone who knows these cars if your north then chip wizards if south then maybe regal or DMS but there are also others . best ask of the forum. if your putting a duel cone or a single cone induction kit on do it at the same time as the remap as it needs to be mapped in and it would be a pain to have to get your remap tweaked for it. I have a fabspeed performance induction on my gen1 but that was after much research and finding the gen2 OE airbox isnt true cold air like the gen1 airbox is . this is due to big holes in the bottom to allow rain to run out . when doing the gen1 I have to admit I couldnt find better than the OE airbox with a BMC filter and the resinator delete silicon hose cap mod. others may have a different opinion though. Pete , based on the set of mods your thinking about you mustn't get obsessed with top end MAX BHP as what you want and will get is a change in the power curve giving you more power in the usable low and mid range which is where you want it in a fast road car. so when its dynoed the curve is the important bit the max bhp is only pub bragging rights lol and wont make it a better driving car. other things to consider fit braided brake hoses as that 15ft quicker stopping may just save your life or bodywork. How straight forward is it to fit a new combined switch panel to my 2005 Boxster 987, with the Sport Exhaust switch and controlling the valved exhaust system? Is the wiring harness the same for all cars, if so does this mean the wiring will go to the engine bay? Can anyone tell me the differences between the straight and X version of these... and standard/larger diameter? Today is the first time I've properly driven my 996 C4 for any distance with the newly fitted Sports sound boxes & 200 cell X-pipe cats. Theres a noticeably deeper tone with more noise level than the Dansk boxes my car had previously & as the revs increase, it sounds IMO more like a GT3 & feels like it pulls more strongly with a hint of some burbles on the overrun. I'm sure the system will increase slightly noise-wise as it beds itself in. The straight 200cell cats came back in stock yesterday so ordered a set, considering a remap too, what's the deal with the topgear remaps are they proper live remaps on a dyno and how much? Don't think a remap does much for ours cars. Anyone gundo hacked there mild sport boxes on a 3.4 996? I like them but just want a bit more noise and the sports version are a too loud. Yes I know remap doesn't do much, but dragging the torque curve a bit to the left so you get a bit more mid-range oomf would be nice. My local tuners referred me to Wayne scofield chipwizards, we'll see. I've fitted my switchable exhausts but not done the wiring yet so can't control the valve position. Does anyone know what the default position is without the vacuum applied, valve open or valve closed? I have pse and default is valves open, have to turn off/ close valves on early morning starts, neighbours SWMBO!! I’d plumbed in the vacuum tubes as per the the Porsche PSE Technical Instructions but not done the wiring yet. With no power/vacuum the valves were are set to open so I’ve replumbed the vacuum lines for now to set them to closed until I fit the switch, relay & loom.